I figure it might be a good idea at this point to say that I'm not shutting down this blog. I'm hoping to become a little more active again come May, but we'll just have to see. Now, that being said, that statement seems like the kiss of death for a blog. Before I started blogging, when I was just reading blogs as I discovered them, I found that prolonged periods of inactivity--or severely decreased activity--followed by a post saying "I'm not dead, hope to post more soon, etc." was almost always the last post in the archive. That's not what I have in mind here. 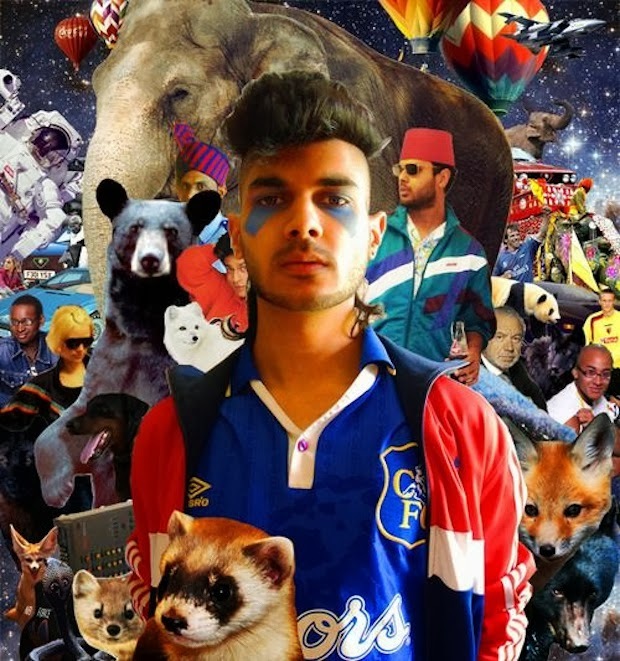 I would like to finish my best of 2012 list before 2013 is half over. 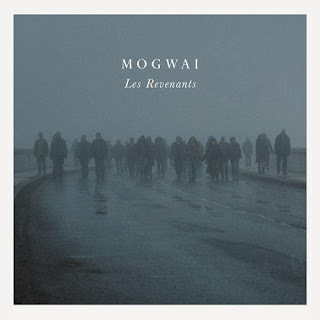 . .
Mogwai - Les Revenants: This might actually be, for the first time, the best thing they've released since Young Team. At times it feels like a return to the Come On Die Young era, but the relative lack of guitars throughout shifts things from slow burn to post burn. When this is bleak, it's awfully bleak, but the stretch of music from "Relative Hysteria" to "Modern" is as good as Mogwai has ever been, with the former (whisper it) besting "Stanley Kubrick." The cover of "What Are They Doing in Heaven Today?" is a little more successful than "Hounds of Winter" from the Earth Divisions EP--I don't want Mogwai to go all Palace Brothers on me, but I'm kind of happy with this as a minor direction for the band (as opposed to something like "The Sun Smells Too Loud," which remains the nadir of their recorded output as far as I'm concerned). Also, parts of this soundtrack remind me of the soundtrack for Star Ocean 2 (mainly this and this), which I'm surprisingly okay with. Cyclopean - Cyclopean EP: This comes on like a Martian Ege Bamyasi and might the closest thing to a prime period CAN release since Soon Over Babaluma. It's nervous and edgy in a way that the Malcolm Mooney period emphasised more than the Damo Suzuki period, but also shows off the kind of telepathic interplay that I wish people took away from krautrock, rather than playing another goddamn motorik drumbeat to put me to sleep. In a lot of ways, this EP feels like a more active version of Lokai's Transition (an underrated album if ever there was one). It sounds better in the room than it does through headphones, surprisingly, so I don't listen to it much on my commutes. Karen Gwyer - Needs Continuum: Gorgeous, entrancing music. I put this on and disappear into another world. Enveloping in the best possible sense of the word. I get the Oneohtrix Point Never comparisons people keep throwing around, but whereas I find Lopatin's stuff leaves me cold for the most part, Gwyer's album is both warmly engaging and productively empty (that is, it works in the background to shape the space I'm in, but also invites me into its depths). It reminds me in a way of Fovea Hex's EPs from 2006; not so much in sound, but in attitude, the way it is aggressively its own thing without allowing that insularity to remove it entirely from the world. Thinking and living music, I'd say. 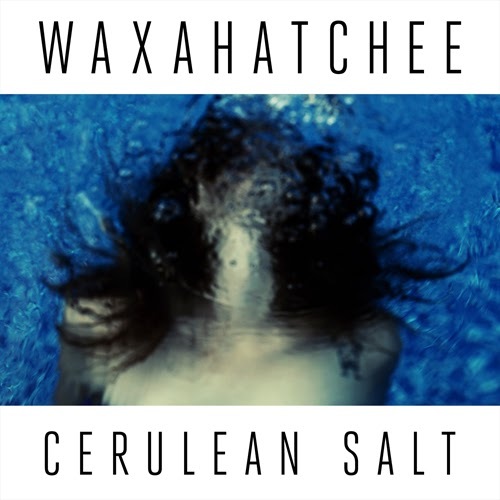 Waxahatchee - Cerulean Salt: I only really like about half of this album, but that half sounds great. The best moments are the shorter fragments of songs--"Hollow Bedroom," "Coast to Coast," "Misery Over Dispute," and "Waiting" (the former two being the highlights of the album)--when it feels like the album is a half-remembered patchwork of songs I might've heard on the radio once or twice as a kid by bands like the Breeders and Veruca Salt. 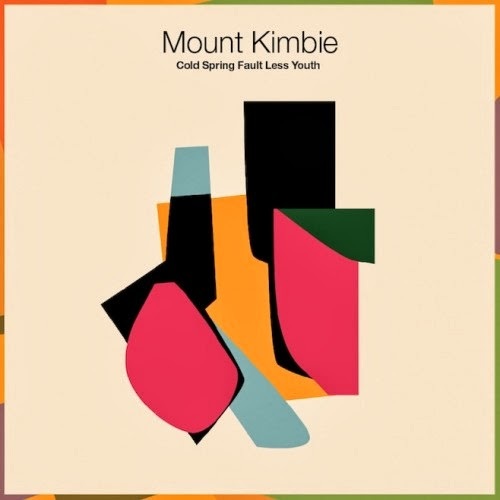 The lyrics are often startlingly good, but it's the confidence in negative space the elevates the best moments above the glut of similar sounding stuff released over the past half decade. 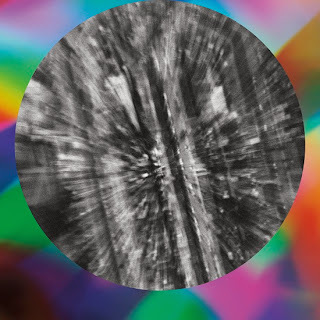 I've also been digging Darkstar's News From Nowhere (what I wish Animal Collective sounded like), Four Tet's 0181 (Four Tet by numbers in a lot of ways, but really pretty nonetheless), and, obviously, the new My Bloody Valentine. I'm not dead--I've just been busy, then sick, then busy once again. I will finish my countdown of favourite albums from 2012 soon (when I discover how to add hours to the day, of course), but I figured a special event called for a special post. 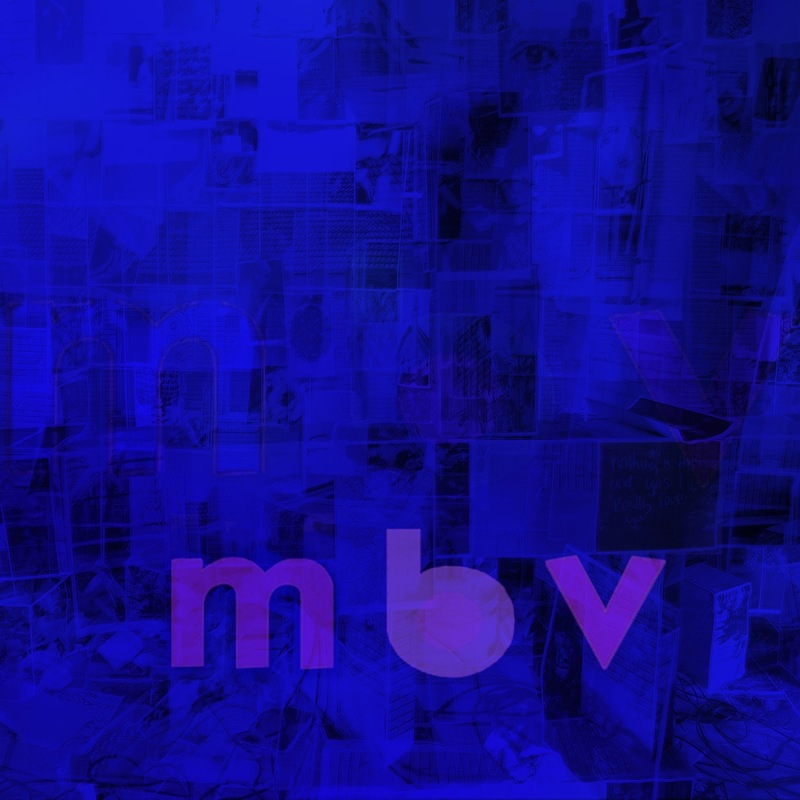 Last night, My Bloody Valentine released the followup to 1991's Loveless, simply titled m b v. I'm not going to rehash the backstory here. More able commentators than I will do so, and they will have had the benefit of being there. I first heard Loveless in 2002, when I was in high school. I'd heard of it for several years before that, but for some reason had never investigated My Bloody Valentine. One day, I went to the music store and bought Loveless. 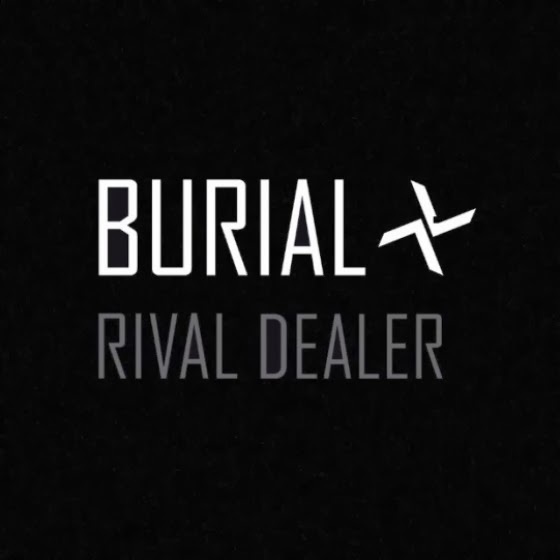 I'd never listened to single track before buying it. I put it on and it didn't do anything that I expected. It was . . . amazing? I'm not sure I can really remember anymore what I first thought. I grew to love it, though, like so many others. I can remember sitting on the bus with a friend, coming home from school and listening to the end of "I Only Said" over and over again, trying to figure out how you make a guitar sound like that. I can remember sitting in my basement, trying to make my guitar do those things. I can remember the first flushes of young love and young heartbreak and how "Come in Alone" was perfect for both of them. I can remember deciding that the guitar break in "Loomer" was what the voice of a god would sound like. I can remember my parents' patience in putting up with me playing Loveless in the car endlessly (sorry, mom and dad!). I have a surprisingly large number of memories that are attached to listening to Loveless. I'm on my eighth listen to m b v (plus more for a few individual songs) at this point. I've got a handle on what I'm thinking about the songs (I think), so I figured I'd put down some initial thoughts. These will change, and come December, when I make my next albums of the year list, I'm sure I'll look back on what I wrote and laugh at how I tried to process this album the day after it appeared in the world. I'll find it strange that the songs that will become my favourites are the ones that I was less sold on initially (as if it could be any other way). I'll laugh at things I didn't know that have since come to light and shaped my understanding of the album. It's inevitable. Oh, well. Here goes nothing. There's also the spectre of that other thing, hauntology. You want to talk about futures that have never been? The first three tracks on m b v are a pretty convincing example of what that never recorded sequel to Loveless from 1994 would've sounded like. That jungle/drum'n'bass direction that consumed 1994-1997 and never amounted to anything? "wonder 2" is an, ahem, wonderful look into that lost world. A My Bloody Valentine who decided to take a look at what Tortoise and Stereolab were cooking up and realised that "No More Sorry" and "Touched" got them halfway there? "is this and yes" is as dreamy and as beautiful, but more alien. This is, then, an album out of time. An album missing its time. An album that could never belong to a time. It's belated in the Eliotic sense of the term, a Rip Van Winkle of an album that grew more famous for being asleep (and thus lost its voice--became incapable of saying anything, of being heard as anything, of being, plain and simple, in the world--because it got cut out of the symbolic order) and woke to a world where Loveless had become Loveless, instead of simply being an album that came before this one, and Kevin Shields couldn't touch a guitar without having already reinvented it and rendered it pointless. So, in all of that, where's the music? Perhaps more importantly, what's the music? That's not an easy answer. It's beautiful, that's for sure, but it's strange, and wrong, and boring, and a half dozen other adjectives to boot. The album starts off on its weakest foot--"she found now" is a pretty timid way of saying "We're back!," all muted vocals and subdued, subterranean howls of guitar, a far less interesting "Sometimes"--but it gains confidence quickly. "only tomorrow" and "who sees you" (the latter bearing a distinct resemblance at times to my beloved "Come in Alone") are a reminder that My Bloody Valentine is a guitar pop band, but these songs are too strange to be "When You Sleep" or "Blown a Wish" or "What You Want." Both ride long guitar outros, with "only tomorrow" turning into a fanfare of guitars-as-horns, sunny as a High Llamas tune, and "who sees you" stealing that "Only Shallow" drum trick before tumbling into hook after unexpected hook, the chord changes always a surprise (even if it does kind of sound like Chewbacca's blues in places...). Both songs are a little too long, but why wouldn't you want to luxuriate in something like this? My Bloody Valentine's music has always been about sleep and dreams, and they seem to be soundtracking the weekend sleep-in with these two tracks. If nothing else, that Shields wasn't producing bands throughout his years in the desert is a crime that he must be held accountable for. So many bad guitar tones that never had to be: m b v's guitars are a thing of rare beauty. The few seconds of silence between "who sees you" and "is this and yes" herald a change. A twinkling, weightless ballad, this could never have come before, even as it is so clearly coming from those earlier albums. When you wake, you're still in a dream, the band said once before, but they've never really sounded as much like a dream as it fades away as they do right here. Bilinda Butcher's voice might not even be real. It feels more like the stuff around it (guitars? synths? hours and hours of sampled and manipulated feedback?) than the expression of a human being. Suddenly, m b v's stakes are much higher. They could, you start to feel, be on to something here. "if i am" might be the last gasp of old My Bloody Valentine on the album, but even here it feels disoriented, falling apart and fading away, the moans and gasps of guitar in the background forlornly seeing their own end, mourning all the songs that never came to be. Something else is around the corner, the album seems to be saying, something that keeps interrupting the old ways. As a first step into the new, "new you" is aptly titled, and given its live debut ahead of the album, one has to think that the band sees it as a marker of some kind. Certainly the prominent synths are a bit of a shock, but the fuzzy, funky bass and the drums feel like siblings to "Soft as Snow (But Warm Inside)," and it ends up feeling as much of a false step as "she found now." It's pretty, but like "What You Want" on Loveless, I can only imagine waiting through it to get to what's to come. In this case, it's m b v's strongest, weirdest third. "in another way" is easily the album highlight, the first song that, on my initial run through of the album, made my eyes go funny and my brain say "what the hell was that?!" Vicious sheets of guitar, frantic drumming, a beguilingly ambiguous vocal from Bilinda, everything's here, but it's the break that first appears 1:25 into the song that makes you sit up and take notice. Those pulsating guitars that suddenly seem everywhere and take you away are breathtaking. That the second half of the track consists of nothing but suggests that Shields knew exactly what he was doing when he decided there was something to these songs, after all. 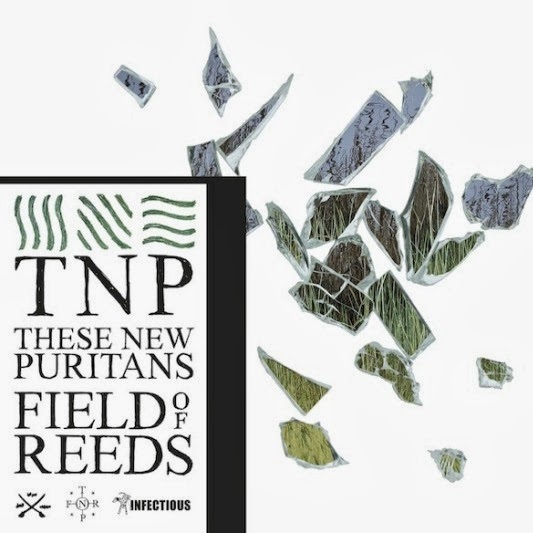 The bizarrely dance-y "nothing is" follows, three and a half minutes of steadily ascending guitar grind and repetitive, train-a-coming drums that ratchets the tension ever higher until cutting out into echoes of itself as heard from the next building over. As an end to m b v (to My Bloody Valentine, even, should it prove to be), "wonder 2" is fittingly apocalyptic. Jungle rhythms, air raid siren guitar, barely barely-there vocals, a future rush like it's 1995 all over again, the songs feels constantly on the verge of blowing away and imploding simultaneously. Whenever it feels like there's nowhere left to go other than destruction, the vocals return, and the song gets a chance to do it all over again. Then it's gone, replaced by silence. No fade out, just a quick, flanged swirl before the end. As if nothing follows this, or could follow this. "Soon" felt like an arrow pointing to all the things that My Bloody Valentine could be (and would be) just over the horizon. There's no horizon here. If Kevin Shields, if My Bloody Valentine, is to do anything else, it won't be the followup to m b v in anything other than a chronological sense. This is an album that will have no children. I have to think, to buy into that symbolic fiction, that somewhere (between South Korea and Japan, I'd imagine), Kevin Shields is happy about that. When m b v dropped--and after the website broke, and then went back up, and then broke again, etc., etc.--I wasn't so much wondering about whether it would live up to Loveless. I wanted to know how I'd live with it. Waiting for a website to come online, bitching on twitter about that website crashing, rapturously tweeting when I finally started listening, these are all signs of how different my life is a decade on from hearing Loveless (which I listened to in my bedroom in my parents' house on a stereo, not on a laptop in my own apartment). In a lot of ways, I'm relieved just to have another My Bloody Valentine to live with until the next one (if there is one) comes out (if it ever does). There are thousands of arguments to be made about the death of one thing, or the start of another, or the end of something, or the beginning of something else with this album. I've made a half dozen in the above review. More than anything, though, what I want to do is listen to this album and, more importantly, forget this album. To forget how a song goes when I haven't listened to it in awhile. To be surprised (again) when there's a chord change or by a particularly noteworthy sound. I want to listen to this album in a thousand different ways, and I don't want to think about it as an event, as part of a failed website launch, as a blogpost, a think piece, or a Pitchfork score. I want m b v to be an album. I want to have space for m b v to mean something to me, so when the next one comes around (surely Kevin can't take another twenty two years, right?) I'll think about m b v and I'll smile at the music, sure, but at so many other things, too. For right now, writing about it ends here for me. I'm going to go do some dishes and have it on the background. Or stare out the window at the snow that's falling. It doesn't matter. I'm going to go listen. You should, too. It's a pretty great album. *I recognise I'm taking a hell of a lot of liberties with Zizek and his discussion of ideology here. Permit me my fun. Meet Jeremy. Jeremy likes Sonic Youth. His favorite album by the Youth is Goodbye 20th Century, their self-released cover album of avant-garde works by various modern clasical composers. The CDs currently in his five-disc changer are Shalabi's St-Orange, Xiu Xiu, Merzbow, the Boredoms, and Fennesz. Meet Erica. Erica likes Sonic Youth. Her favourite album by the Youth is Dirty, the band's most direct flirtation with mainstream rock. The CDs currently in Erica's five disc-changer are the Breeders, Blonde Redhead, Wilco, Neutral Milk Hole, and Sleater-Kinney. I would say I'm more like Jeremy than Erica in my relationship with Sonic Youth (my favourite SY album is A Thousand Leaves, for the record), but I can appreciate the straighter moments of the band's discography with greater ease than Jeremy, probably. 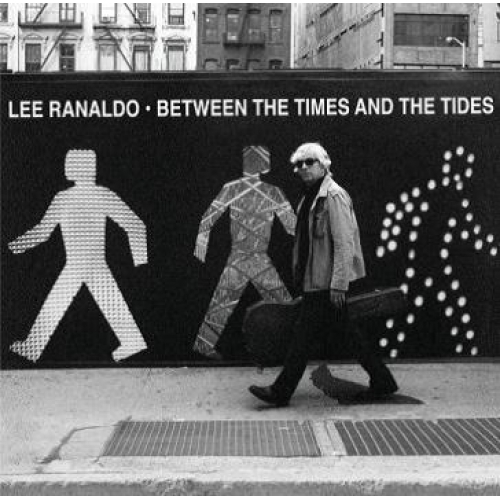 If you assume that the audience for a Lee Ranaldo solo album is going to be, first and foremost, Sonic Youth fans, then it's natural to try and figure out if Between the Times and the Tides will appeal to the Jeremys or the Ericas out there. I would bet the latter are going to find more to enjoy and return to on this than the former, but it would be a shame to limit this album's appeal to a certain cadre of Sonic Youth fans. What this album is, as far as I can tell, is the year's best straight-up rock album filtered through one of the more distinctive songwriting voices in indie rock over the last three decades, something like what Wilco have been trying to do on their last few albums without entirely achieving it. If we play a game similar to Mitchum's and ask which Lee made this album, it's the Lee who loves the Greatful Dead and Neil Young much more often than it is the Lee who played with Glenn Branca and performs improvised film scores in Text of Light. 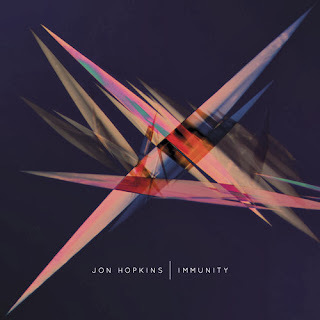 That's not to say there's no overlap between sonic identities throughout; the album is wonderful in part because of how natural the moments of overlap are. This means that the album feels curiously out of time: nothing about it fits in exactly with the current indie rock landscape, but it's all so intrinsically a part of that landscape (this is the product of a guy who helped make indie rock a thing, after all) that everything here could have always existed. If there's a certain early-to-mid 90s aspect to these songs--the album could have come from some indie band out of Chapel Hill or Athens or any other college town suddenly making its major label debut in the wake of post-Nevermind dollar chasing--it's not in the name of some retro impulse, but rather the result of so many of those bands speaking the same language, musically, as the one that Ranaldo helped to invent while in Sonic Youth. Beyond contextualising, beyond theorising, this is an album that shows off what any Sonic Youth fan has known for decades: Lee Ranaldo can write a hook. Part of what kept so many people (like myself) waiting for this album for so long was the promise of what Lee could do with an entire album to write majestic, transcendent guitar songs like "Karen Revisited" or "Hoarfrost" or "Hey Joni." If anything, though, this album does more to reinforce the idea of Sonic Youth as a band rather than a collection of individuals--and Lee Ranaldo as a discrete component within that band--than anything they've released collectively lately. These are obviously and distinctively Lee Ranaldo songs, but they're quite different from what has previously defined that term on Sonic Youth albums. He's never been as nakedly romantic as he is on "Stranded," nor as breezy as he is on "Fire Island (Phases)," and if the acoustic "Hammer Blows" sounds like it might have fit into the rural first side of Murray Street with a little bit of tweaking, it's better for not having done so. He even provides an epic the equal of anything he's produced with Sonic Youth in "Xtina as I Knew Her," a career highlight with a sense of drama that he's never quite demonstrated before. I never really believed I'd hear this album--not Between the Times and the Tides specifically, but a Lee Ranaldo solo album full of songs--and then it showed up. I wrote a review that became the most popular post in this blog's history after getting linked to on the Sonic Youth message board and Lee Ranaldo's Facebook page. It's funny how life works. Ultimately, the best thing I can say about this album is that despite years of waiting and wishing for it, the actual manifestation doesn't disappoint. I'm happier for having it in my life. To return to our hypothetical Sonic Youth fans, I'd bet that Erica is happy this exists, and--even if it's not going to replace East Jesus or Amarillo Ramp as his go-to Lee Ranaldo solo release--I suspect Jeremy is, too. At the very least, freed from the limitations of five-CD changers, they could both find room for it on their iPods. Last year, I overlooked the first part of this when compiling my end of year lists because I forgot that it came out in 2011. This is only partly an attempt to correct that oversight. Since reemerging with 2005's Hex: Or Printing in the Infernal Method, Earth have been one of the more interesting bands going. Channeling his proclivity for feedback, drones, and bass into new musical avenues--country, blues, psychedelic rock, free jazz--Dylan Carlson has come a long way from Sunn Amps and Smashed Guitars. 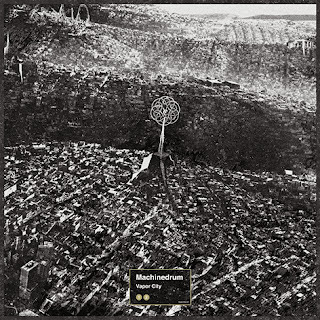 The culmination of the wandering, patient experimentation that's defined the band's past decade of work, Angels of Darkness, Demons of Light II deepens the slower-than-slow improvising of the previous installment by lightening up: this is probably the brightest music Carlson's been associated with (though the droning cello throughout keeps anything from threatening to get too major key). Carlson's guitar is mixed way up front, and his playing deserves careful study--if a generation of metalheads could get hip to this rather than generic shredding, the genre would certainly be headed in an interesting direction. For all of Carlson's contemplative playing, an approach that leaves no melodic permutation untested, no variation on a chord unplayed, Adrienne Davies and her drums are a subtly powerful force, providing crucial momentum to music that threatens to stop entirely at any moment, while Lori Goldston and Karl Blau tangle their cello and bass, respectively, around the shapes Carlson's guitar lines make. 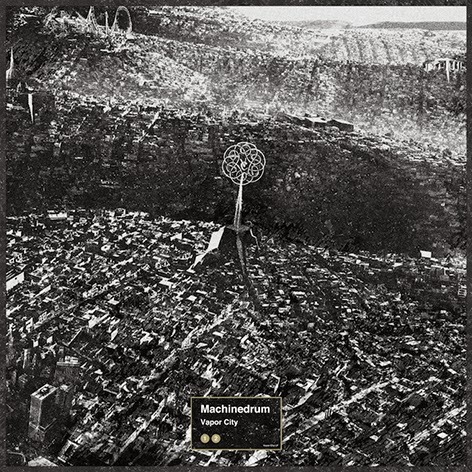 As a guitar player (and one who grew up reading the kinds of guitar magazines that put people like Kirk Hammett on the cover), I've found Carlson's growth and development as a player over the last decade or so incredibly interesting, and I have to bring my appreciation of this album back to his work on it. Mostly, it's because I haven't found much guitar playing that excites me over the past few years. Earth, though, is one of the few bands that continues to produce music that interests me in the guitar and its possibilities as an instrument. Carlson's playing is wonderfully business casual throughout: sharp enough to hit a million subtle accents when called for, but otherwise in no rush to be in any particular place or to do any particular thing beyond taking chords and melodies apart and stretching them a mile wide. The Angels of Darkness releases have been particularly impressive because I tend to think of improvised music as challenging (even alienating) in its foregrounding of abrasion and dissonance. Thus, something like Fenn O'Berg or Charalambides can be immensely rewarding, but the music demands concentration; whatever enjoyment you are getting out of the music, you've invested a certain amount of patience and attention to find it. 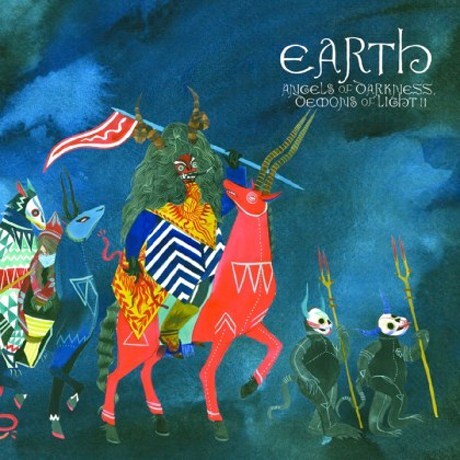 Earth's music on these two albums, and particularly Angels of Darkness II, is not like that. Challenging, yes--and often more so than its near static surface would suggest--but rarely abrasive. This is warm, inviting music, and if it asks for patience, it rewards that patience with slow-motion crescendos that are undeniable and hypnotically enchanting melodies. If you thought the world was ending Friday, you could do worse for a soundtrack.